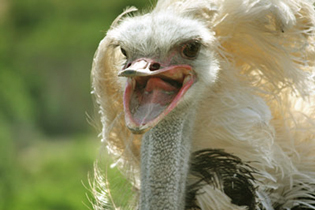 OstrichLand USA is a wonder-filled place for everyone. We have a gift shop with truly unique gifts, all ostrich and emu related. 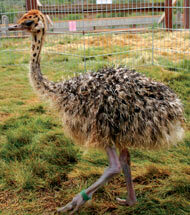 We have fresh ostrich eggs nearly year round and fresh emu eggs during the winter/spring season. 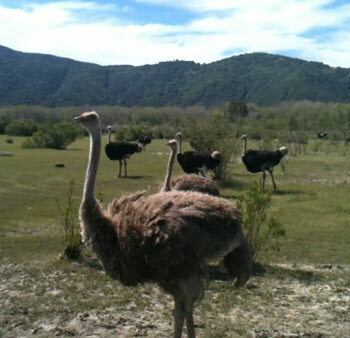 The highlight of a visit to OstrichLand is feeding the ostriches and emus. These big birds are a rare and unique sight in this part of the world and are sure to make you smile. We provide a way for you to be up close and personal with these big birds and safe at the same time. The backdrop of the landscape on which they roam is quite lovely and seeing them walking about on the plain that resembles their native desert is like being in another place and time. OstrichLand is fun for the whole family. We welcome groups and request that you call ahead to reserve the time if your group is large. We can provide a “guided tour” or you are welcome to be on your own. We are open year round and hours can vary due to time of year and the daylight available. Please check in with us first if you are planning a visit. We hope you will come for a visit and feed the “original” Big Bird. See you soon!